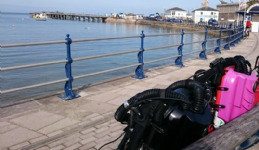 Shawtek Ltd is an independent agency, representing selected specialist diving equipment manufacturers. Every company has been selected because their products are of the highest quality, and their lack of compromise in design and manufacture. Shawtek represents these companies in the trade market and also promotes to the general public through demonstration days and dive club meets.